Israel allowed the entry of fuel shipments, including Qatar-funded fuel, into the blockaded Gaza Strip yesterday, according to a Palestinian official. 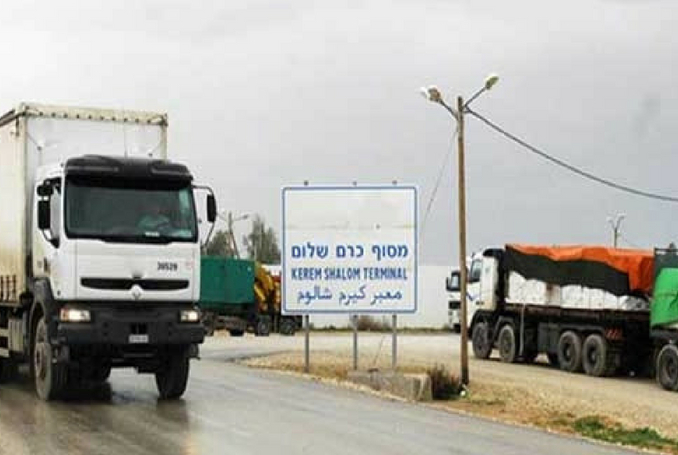 “Qatar-funded fuel trucks began to enter Gaza today,” the official, who works on the Palestinian side of the Karam Abu Salem (Kerem Shalom) crossing, said on condition of anonymity because he was not authorized to speak to the media. He said four trucks of Qatar-funded fuel are scheduled to enter the Palestinian territory. “Six other fuel trucks will cross into the Strip today”. On Tuesday, Israeli Defence Minister Avigdor Lieberman allowed fuel shipments into Gaza upon recommendations from security agencies, according to the Israeli Broadcasting Corporation. Ten days ago, Lieberman ordered a halt to fuel shipments into Gaza. Earlier this month, Israeli newspaper Haaretz reported that an agreement with Qatar was reached in recent weeks to finance the purchase of fuel for Gaza’s power plant. Gaza has been living under a stifling Israeli siege since 2007 leaving the Strip’s two million residents unable to access fuel, electricity or basic commodities. Be the first to comment on "Israel Resumes Fuel Shipments to Gaza #Palestine #GroupPalestine #israelTerrorists #boycottIsrael"